Step by step, Intel is expanding its presence in the mobile industry. OK, that may sound a bit too optimistic in Intel's case, which has found it extremely difficult to gain a foothold on the market. 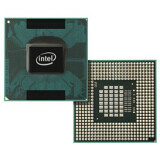 Anyways, the thing is that Intel has managed to equip a new smartphone model with its mobile CPU, and that is the Acer Liquid C.
It's easy to understand why Intel is mostly working with companies like Acer and Lenovo - after all, these are well-known PC makers with which Intel has already established solid relations. Unfortunately, information about the new Intel-powered handset is pretty much nonexistent right now, other than the fact that it will be running Android, but we're probably not missing much. Intel has been trying to enter the mobile biz for quite some time now, but it's been encountering many obstacles along the way, including technical difficulties to make its chips power-efficient enough in order to be suitable for use in mobile device. Of course, the fact that ARM's business and its partners (including Qualcomm, Nvidia and Samsung) are incredibly strong don't help Intel much as well. Intel recently collaborated with Motorola to produce the RAZR i smartphone - the first Intel-powered smartphone by a well-known manufacturer. However, the RAZR i is mostly a mid-range device that couldn't generate enough buzz around itself and Intel's CPU. Sad because a single core intel mobile cpu is better than the best arm processors.